Filled with renewed purpose, Yan packed up for home in 1999. His father had promised as village committee director to increase Xiaogang's annual per capita income to 400 yuan, and Yan planned to contribute by starting a business and creating jobs. It did not take long for Yan to realize that Xiaogang was no Dongguan, a city that flourished thanks to China's pilot policies in its reform and opening up. His first couple of ventures — a handicraft company and an electric meter factory — were shut down in 2001, costing all his savings. Not one to give up, Yan went back to the cities, founding successful businesses in Hefei, Shanghai and Beijing and bringing back the profits to Xiaogang to try again — to no avail. In August 2014, Yan returned to Xiaogang one last time with a new approach. 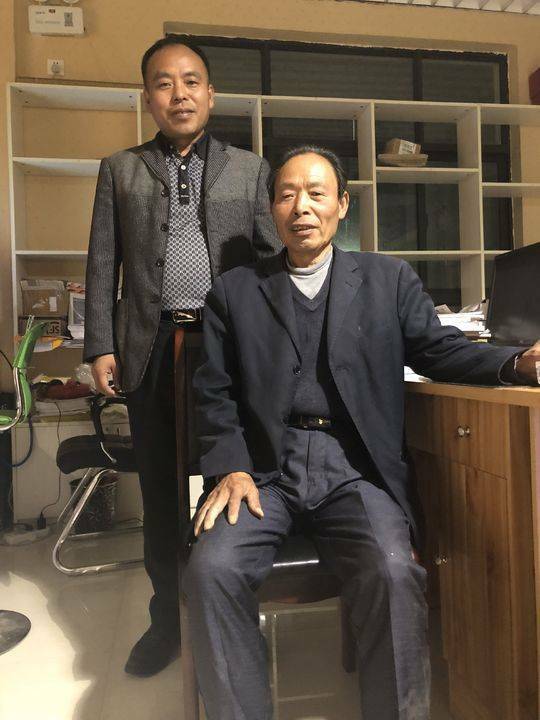 Instead of starting up a company, the son of one of China's earliest reform pioneers decided to follow his family legacy into public service, and became a member of the CPC Xiaogang village committee. To fully commit to his new role, Yan even sold his shares in his companies outside Xiaogang, including the majority stake of a small utility and appliance company in Beijing. Yan explained his choice as an inherent sense of duty. "Great changes have taken place in Xiaogang, but its economic growth is not so remarkable. My father's generation has finished their historical responsibilities, and now, our generation must shoulder ours." However, his plan for Xiaogang is also a product of his business sense, after multiple attempts at various forms of manufacturing companies. As opposed to creating a secondary industry from scratch, Yan decided to lean on the village's agricultural heritage and develop its tourism industry. Instead of raising factories, Yan led the village to pave its streets, plant trees, and renovate its storefronts. Tourism in Xiaogang began to take off, integrating historical tours, folk customs and cultural activities like flower-drum dance, and the picking of fruits and vegetables. This year, the village's tourism industry is receiving a boost from the 40th anniversary of China's reform and opening up. Yan estimates that Xiaogang, as a historical site of the reform, has already received around 500,000 visitors so far this year. To bring more convenience to the visitors and local businesses alike, Yan launched an e-commerce platform, searching for and eventually attracting commercial tenants to 33 vacant stores at visible locations to present specialty products from Xiaogang and other areas. As the person in charge of poverty alleviation and the village's Youth League, Yan is also motivating the next generation of Xiaogang natives to become entrepreneurs. To help them along the way, he is making efforts to implement various reforms for the village, including land rights, contract rights, and management rights of rural lands. In addition, Yan is also clearing obstacles he personally faced trying to start businesses here, reforming the shareholding system in a collective economy, turning rural resources into assets, capital into equity, and farmers into shareholders. "People generally believe that the Xiaogang spirit implies the guts to think, to act and to be the first mover," he said. "In my interpretation, it also implies unity and collaboration, without which the agreement in 1978 wouldn't have been possible at all." His efforts have led to preliminary outcomes. During these few years, the number of villagers leaving as migrant workers decreased from 1,000 to 600, as more and more youths came to participate in Xiaogang's development. "The future of Xiaogang relies on Xiaogang people ourselves," Yan said. "Everyone should bear in mind that they are Xiaogang people, and should get involved and make contributions for the vitalization of Xiaogang."